A motorcycle showroom full of cruisers, with orange and black communication colours dominating and an eagle motif on most of the branding should instantly remind you of Harley-Davidson. People in the know can identify the HD logo, but those who can't, easily fall for this illusion that the Regal Raptor outfit at the Jubilee Hills in Hyderabad creates. It has worked well so far, because even the seemingly ignorant chauffeur of the rickshaw I hired asked me if I was looking for the 'Harlay bike wala showroom' when I showed him the address. But these are no Harleys. They aren't even in the same pin code. But that branding strategy is getting them good footfall. Regal Raptor hails from China and their Indian partners, JRS Industries are in the process of setting up more such showrooms across the country. 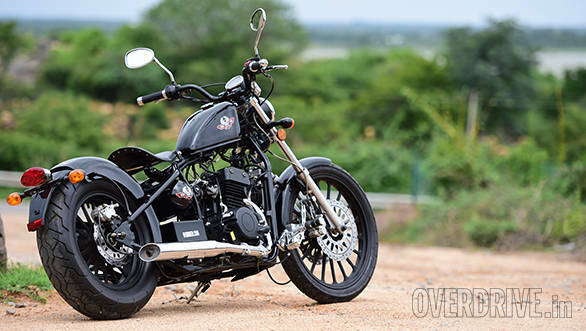 The Chinese partners make seven motorcycles consisting of cruisers and street nakeds and of these, three motorcycles are on sale in India - the DD350E-9B, the DD350E-6C Daytona and the DD350E-2 Bobber. I had a chance to sample all three from sunrise to sunset and the Bobber particularly caught my eye for its distinctive styling. It looks like a typical custom chopper with cycle-seat, cart-wheel-esque alloys, wide handlebars, a tiny headlamp and a tinier fuel tank. 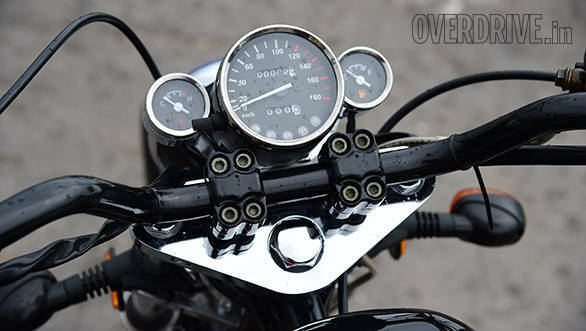 It goes with the Bobber philosophy of shaving weight wherever possible and manages to save 10kg over the Daytona. The minimalist design manages to look quite good, but the exposed wiring is an eyesore and a potential problem for rainy rides. The tin box for the battery and electricals seems like an afterthought - more so with a shoddy decal on it reading the bike's name. In fact, all the decals on this chopper look low-rent. But what I like is the minimal use of chrome, which lets the bodywork and wheels grab more attention. Build quality is decent, but the powder coating isn't of the highest order, so expect plenty of stone chips and scratches. The paint quality is on par with the commuter segment motorcycles. 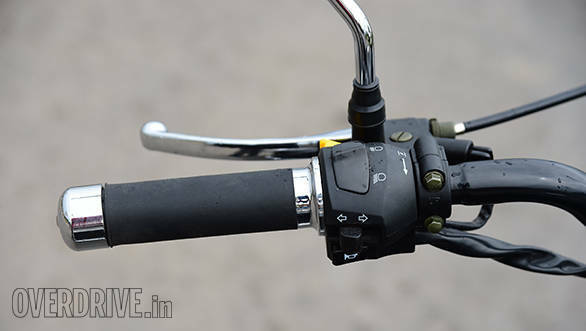 At a saddle height of 670mm, the Bobber is quite low, but the straight handlebars need you to sit upright. The foot pegs are placed far out and that means that the seating isn't very ergonomic. 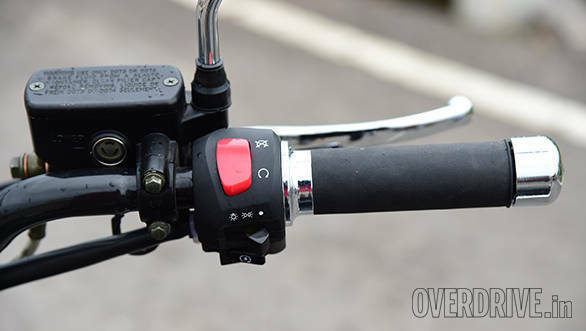 You can still find a comfortable position for cruising, but shifting gears (especially downshifts) can be cumbersome. 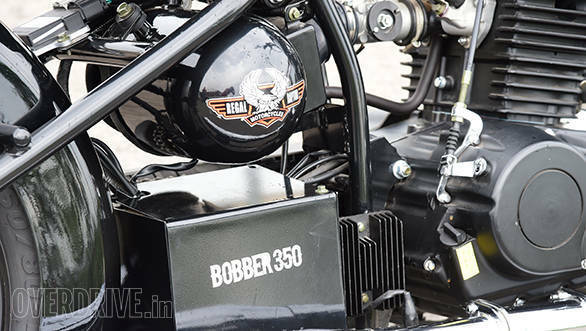 The Bobber is a hard tail and the only cushioning the rider gets is from the spring mechanism for the seat. 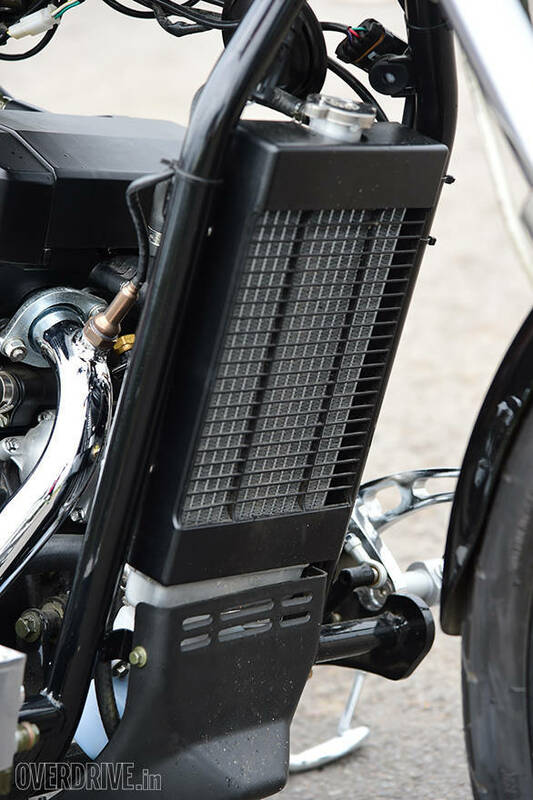 It creaked quite a bit on our test bike. It isn't particularly comfortable for long haul journeys either, but good enough for a quick dash to the café and back. 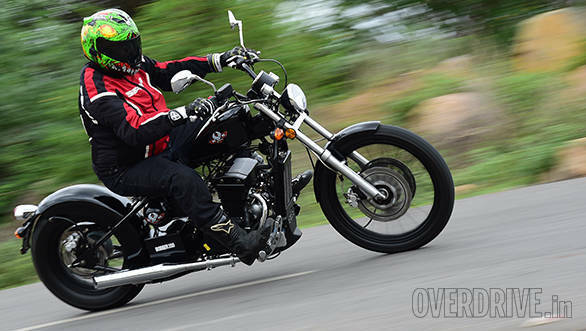 A kerb weight of 170kg means it isn't hard to manoeuvre the motorcycle. The front end is light too, so steering it around at slower speeds isn't a problem either. 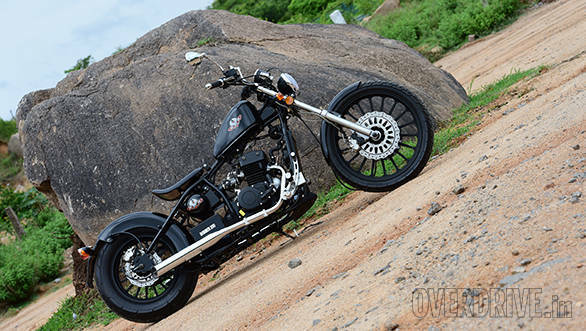 With that 8-litre tank, the Bobber also feels quite diminutive for a chopper. But it also manages to feel quite stable at speeds and brakes very well. 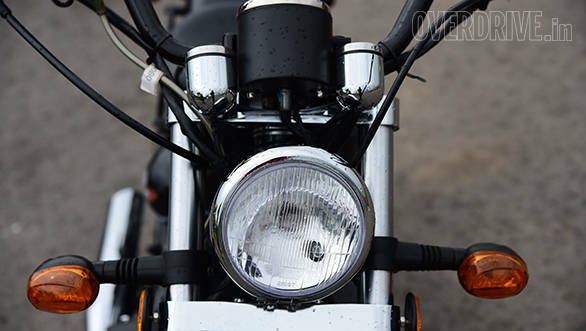 The twin-disc setup works in its favour and though it doesn't need that sort of stopping power, the braking doesn't come across as unnerving thanks to its gradual nature. 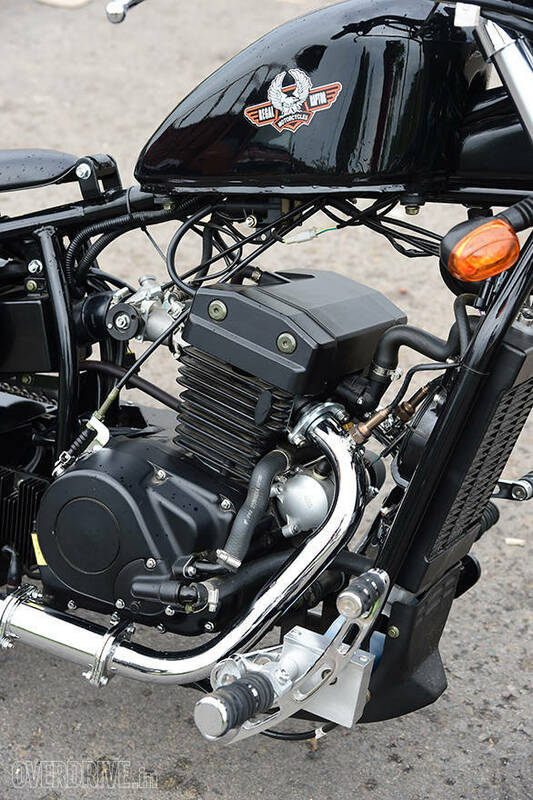 Propelling the bike is a 350cc parallel twin engine that puts out 22Nm of torque and 23PS of power. 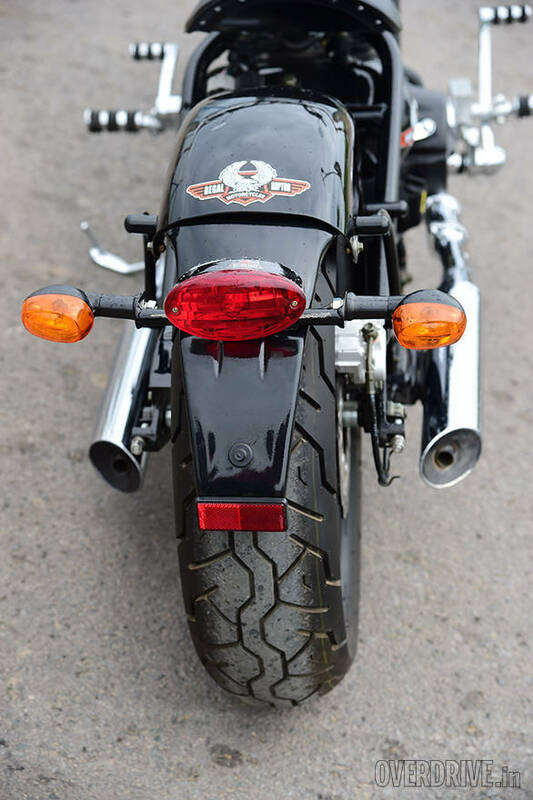 The torque is spread nicely over the lower and mid-range of the rev band, giving the Bobber excellent tractability in the urban environment. You don't need frequent gear changes either and you can happily stay between third and fourth for most of your commutes. The gearbox is a five-speed unit and has a rubbery feel to it. The engine is surprisingly smooth and its Chinese manufacturers deserve a pat on the back - but only after it proves its longterm reliability. It seems pretty relaxed till about 110kmph, beyond which vibrations start kicking in. The company claims a top speed of 130kmph, but that would be strangling the engine. The engine note is typical parallel twin smoothness, but on my tester it was getting overpowered by all the flappy sounds from the wiring harness and the creaking sounds from the seat. Even at speeds, the exhaust note remains fairly muted and that should keep your neighbours happy. The technicians tell us that louder pipes are in development and should be available as an aftermarket fitment soon. In fact, Regal Raptor owns patents and design IPs for 70 per cent of the parts that make the three vehicles that are on sale in India. Pretty much all of those can be customised, say the blokes at the dealership. The Hyderabad outlet claims that the response has been healthy ever since they opened shop on June 9, 2015. 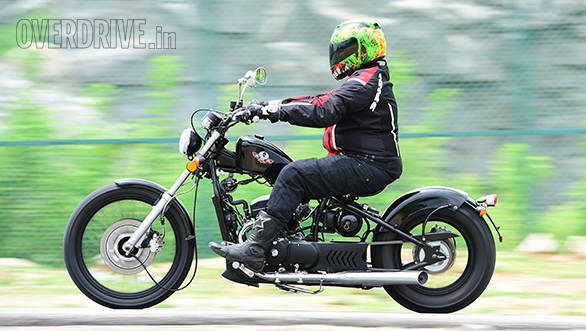 To me, Rs 3.5 lakh seems like a tall ask for this motorcycle despite its visual distinction and engine capacity. The reason is the overall build quality and the nuances of a new brand name. But since JRS and Regal Raptor claim to have found a good number of takers willing to overlook these aspects, I think they might have a chance to prove their worth.